1. My 101 things to do in 1001 days project has come to an end, as in, 1001 days has passed. Although I was unable to cross off everything on the list, I'm pretty proud of all the ones that I DID accomplish. :) The most interesting thing about this project was that I got to see change in my interests. Some things that I thought I'd love to do ended up being things I didn't care to do or it didn't matter if I did them or not: like making a crib skirt (which I didn't complete). 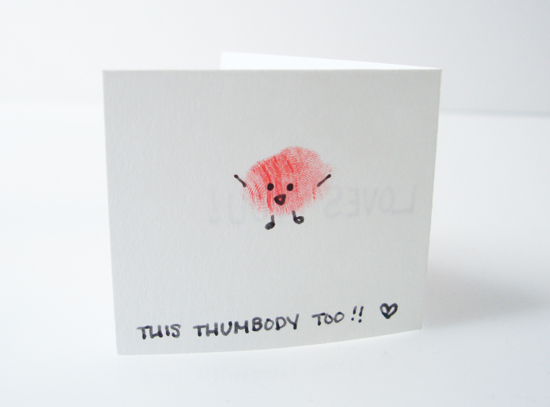 And some tasks I didn't think twice about ended up being some of my favorites: like the Thumbody Loves You card where I got to use Bruce's thumbprint too! I love that I have my blog to look back on all of my accomplishments! And since I loved this project so much, I've decided to start round two and will be sharing with you my list soon! 2. 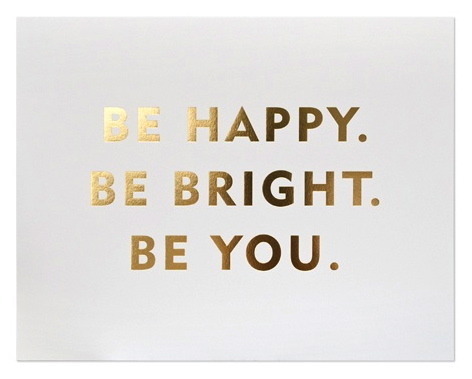 I saw this Madly in Bed print over at Apartment Therapy this week and it made me chuckle. I love the handwriting too! 3. My mom and aunt gave us a gift card to get Bruce a train table for his birthday. We chose the Imaginarium train table above that comes with over 100+ parts including trains, trees, and people (not shown because I'm waiting to bust those out when he gets bored or loses the ones he has). Best. Thing. Ever. Why didn't we think of getting this sooner? He LOVES it! Every morning he wakes up, he says, "Choo choo chwain!" and runs to it with a huge smile. Happy boy equals happy parents. :) Thank you, mom & Chi-Mama!